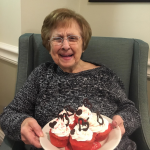 One of the perks about being a chef here at East Village Place is having the ability to get creative when it comes to preparing culinary dishes. 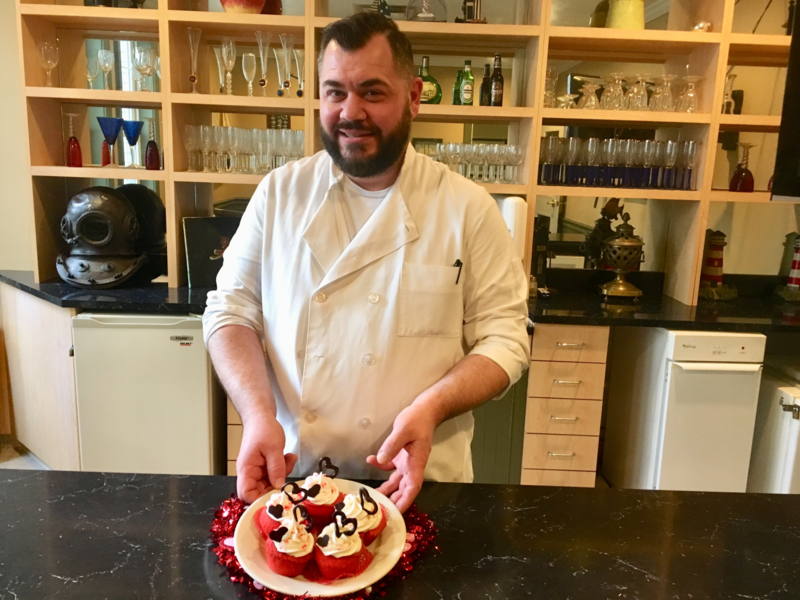 Steve Michon has been a chef here for almost four years, and one of his favorite pastimes is baking. 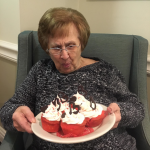 Steve took it upon himself to whip up something special for our residents with Valentine’s Day soon approaching. 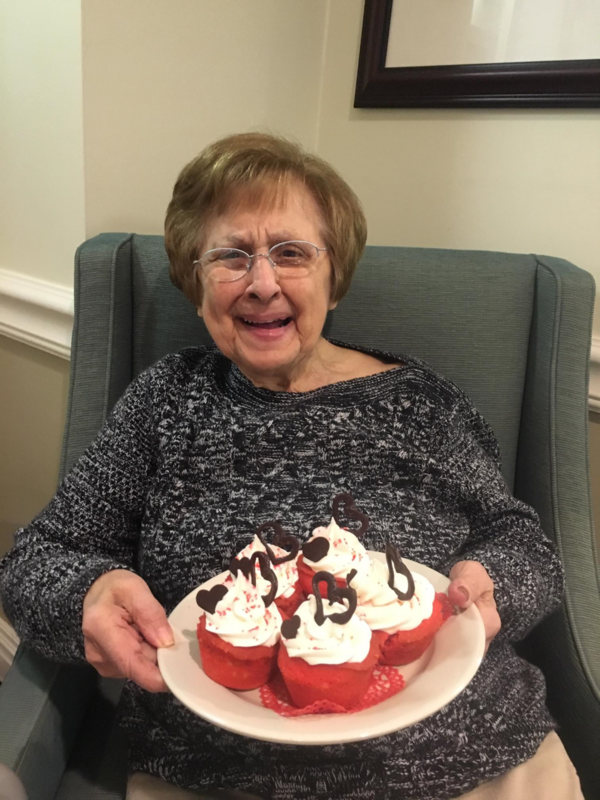 It is quite evident that these cupcakes were baked with lots of love! Steve likes trying out new recipes, but what he really enjoys is using his imagination to create a recipe from scratch. 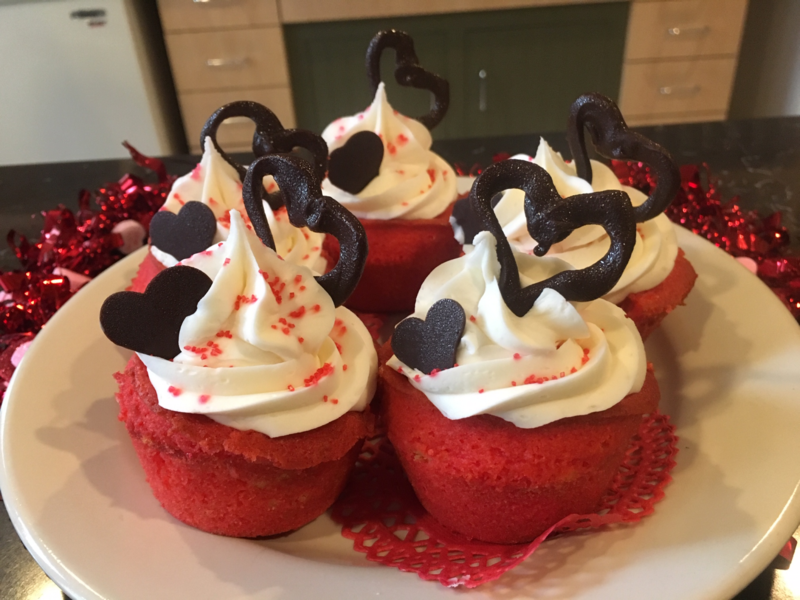 He knew that he wanted to make red velvet cupcakes, but when he began baking he started getting ideas as to how to visually enhance them with a Valentine’s Day theme in mind. Are you ready for your mouth to water? 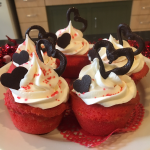 Steve’s final masterpiece is not only beautiful, it also will make your taste buds rejoice in confectionary delight! 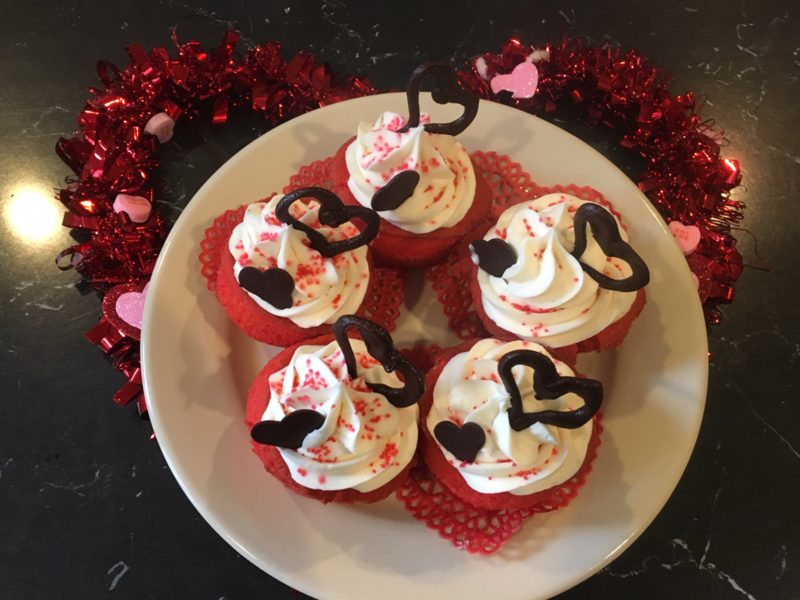 His red velvet cupcakes have a special surprise inside… a chocolate covered cherry! 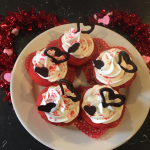 To top it all off, he meticulously spread them with whipped vanilla frosting before adding hand-piped milk chocolate hearts for decoration. 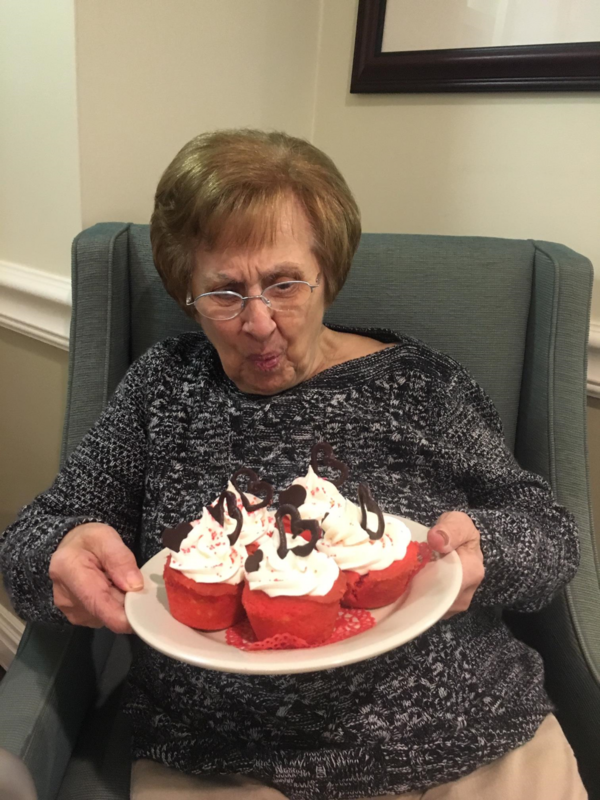 The residents were in awe with how perfect the cupcakes looked, and we even snapped some great photos of Carmella admiring their beauty…although she did say she wanted to skip lunch and run off with the plate! 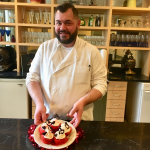 Thank you for sharing your creativity and culinary expertise, Steve!